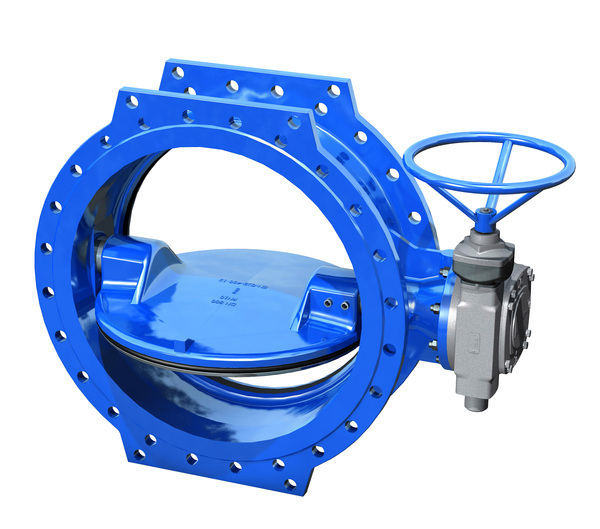 Double-offset flanged butterfly valve (resilient-seated) with epoxy coating, available with long or short face-to-face length or made of welded steel for use in water applications. Long service life, as the medium does not come into contact with the bearing, and due to the wear-resistant, corrosion- and infiltration-proof seat with weld overlay. Suitable for use in water distribution, water treatment, in pretreated waste water, dams, in power plants, industry and in pressure management.